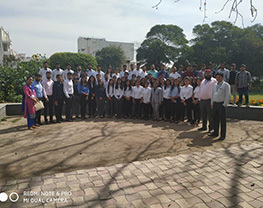 MBA and BBA students of School of Business went for an Industrial Visit to 'Mother Dairy Plant located at Patparganj' on 27th March 2019. Mother Dairy markets approximately 3.5 million litres of milk daily in markets of Delhi, Mumbai and Hyderabad. The plant is located within the ambit of lush green environment and state of the art technology. 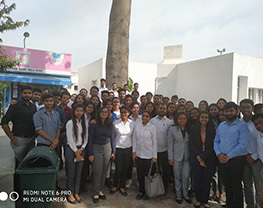 Ms. Neha and Mr.Pillai of Mother Dairy gave a presentation to our students related to the history of Mother Dairy Plant. They told students about the White Revolution and primitive and newer modes of milk collection and distribution of milk. 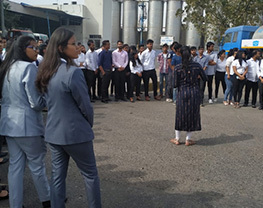 They also informed students about the milk processing capacity of the plant and explained the significance of the various steps involved in processing. Further, a small documentary film of Mother Dairy was shown to students which depicted the process of milk distribution. 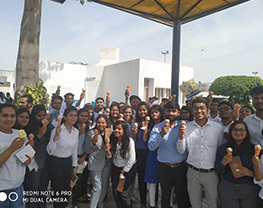 Our students interacted with the staff of the Mother Dairy Plant who showed them videos and presentation of the products and the large scale market. The process in the making is totally automated and is internationally designed keeping in mind the hygiene standards. Students asked a number of questions on Supply Chain management and got the clarity about the process from the staff members. 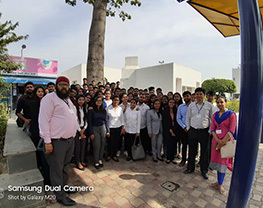 Overall, the visit was highly interactive and a learning experience for the students with respect to the production and operations related concepts applicable within the plant. This industrial visit was coordinated by Dr. J.P. Pathak, Dr.Jitin Gambhir and Ms. Nirmaljeet Kaur.